San Gabriel Cemetery is a non-denominational cemetery resting on 14 acres and situated partly in both the cities of San Gabriel and San Marino, California. The cemetery was founded in 1872 by some of the foremost pioneers in the area, it is known for its beautiful grounds, peaceful atmosphere, and connection to the history of the San Gabriel Valley. 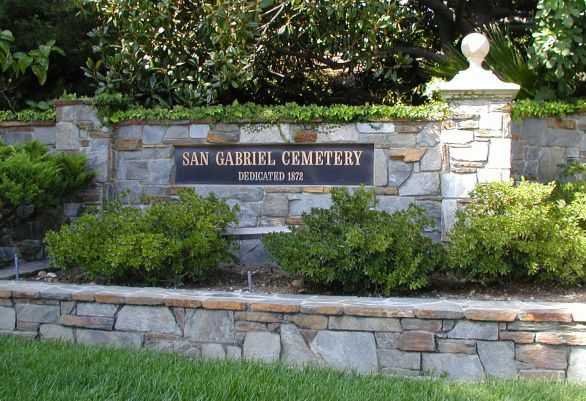 Click here to visit the San Gabriel Cemetery website. Click here for more information on the San Gabriel Cemetery on Find A Grave. Once you are there, you can enter a name in the search engine.